René de Sluze was baptised on 7 July 1622, when five days old. His name appears in various forms as is common for the age in which he lived. Perhaps the most common French form of his name is 'Sluse', but the Latin version 'Slusius' is the one form which is always used in his scientific international correspondence. His father and paternal grandfather were both named René de Sluse so we now have to be careful in giving details of three people with the same name; let us temporarily call them René the Younger, René the Elder, and René the Eldest. René the Elder was a lawyer working as clerk of the court, while his father René the Eldest served as mayor of Visé. The mother of René the Younger (René the Elder's husband) was Catherine Waltheri de Castro, a daughter of Walther Plorard who was mayor of Visé on several occasions. Several other members of the family were prominent figures, like for example René's maternal uncle Gualthère Waltheri who also trained as a lawyer and served as the secretary of papal briefs to Innocent X, pope from 1644 to 1655. After the death of Innocent X, he served as secretary of papal briefs to his successor, pope Alexander VII. Another of René's maternal uncles was Jean Waltheri who was first a canon and then the dean of the collegial church in Visé. René had two brothers: Pierre Louis and Jean Gualière who both entered the Church, the latter became a cardinal in the year following René's death. René's family had no doubts the direction that his life should take, namely a training in law leading to an ecclesiastical career, and his education was arranged with this aim in mind. His early education was from his uncle Jean Waltheri who at that time was canon of Visé. De Sluze studied civil and canon law at the University of Louvain from the autumn of 1638 to the summer of 1642. He then went to Rome where his uncle Gualthère Waltheri was based. 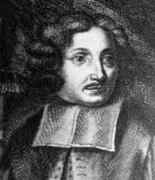 De Sluze studied at the University of Sapienza and received a doctorate in law in October 1643. Sapienza was the name of the building which housed the University of Rome, and it gave its name to the University. After this de Sluze remained in Rome where he greatly enjoyed the scholarly environment and he studied a large number of subjects including many languages such as Greek, Hebrew, Arabic and Syriac, as well as mathematics and astronomy. His skill in languages was such that pope Innocent X often asked him to translate various letters sent to the pope by Greek and Armenian bishops and other prelates in the East. Although mathematics was the topic which seemed least useful for his future ecclesiastical career, it was the subject which de Sluze enjoyed more than any other, although one has to say that he also greatly enjoyed many other of his wide interests. He read about the latest mathematical progress through studying the works of the Italian mathematicians Bonaventura Cavalieri and Evangelista Torricelli. While in Rome, he became friendly with the historian Pierre Lambecius from Hamburg. They remained friends for life and corresponded regularly. His understanding of law and his great knowledge brought him many high positions. But his success in the administration of a small state severed him from the life he had known in Rome and thrust him into an intellectual vacuum; and his administrative duties left him little leisure for scientific work, particularly after 1659, when he became a member of the Privy Council of Prince-Bishop Maximilian Henry who was also elector of Cologne. In fact it was on 27 March 1659 that he became a member of the privy council. He became abbot of S le Ode at Amay in 1666, conseiller ordinaire in 1673, and vice-provost of the cathedral on 20 January 1676. Given his busy life, the only route left open to de Sluze to interact with other mathematicians was by correspondence. He corresponded with many mathematicians in England, France and other European countries, for example he was in regular contact with Blaise Pascal, Christiaan Huygens, and John Wallis. However, one of his most useful links with other mathematicians and scientists came through correspondence with Henry Oldenburg, the secretary of the Royal Society in London. Before we discuss this, let us look at his earlier mathematical contributions to which correspondence also played a large part. The background to the study of the cissoid was two-fold. In the first place it fitted into a much broader programme which aimed at deriving the quadrature of the circle from the quadrature of curves related to the circle. The cissoid was clearly one such curve. In the second place Sluse and Huygens were puzzled, as were many of their colleagues, by the discovery of Torricelli's "improper integral". Sluse and Huygens were trying to find a similar result for other curves of infinite length. Again the cissoid was a candidate. Some weeks after de Sluze had determined the volume of revolution of the cissoid, Huygens found its quadrature. He announced the result to de Sluze on 5 April 1658 and on 28 May 1658 he sent a proof. In June 1658 Blaise Pascal issued a challenge to mathematicians to find the area under the cycloid and also to find the volume it generates when rotated about its base. Pascal of course, issued the challenge already knowing how to solve these problems. De Sluze had gained the experience necessary to solve such problems and sent his solution to Pascal who praised it highly. In 1659 de Sluze published Mesolabum, or to give it its full name, Mesolabum seu duse mediae proportionales inter extremas datas per circulum et ellipsim vel hyperbolam infinitis modis exhibitae Ⓣ. This work was on geometrical construction in which he discussed the cubature of various solids and the solutions to third and fourth degree equations which he obtained geometrically using the intersection of any conic section with a circle. The family of curves yn = k(a - x)p xm for positive integer exponents, are called the 'pearls of Sluze'. He discussed these curves as well as the problem of the volume generated by rotating the cissoid about its asymptote in Miscellanie, which was material he added to the second edition of Mesolabum in 1668. I put forth instructions for sailors on the use of the pendulum clock, which will soon be corroborated with experiment. I will send an example if you understand our language. One month later de Sluze replied to Huygens saying that he would read it to the best of his ability. On 10 April he wrote again to Huygens to say that he had received the book but had been too busy to examine it fully. Huygens also sent a copy of Horologium Oscillatorium (1673) to de Sluze. Oldenburg initiated the correspondence [with René de Sluse] in February 1666-7, writing in flattering terms of Sluse's published work. He described the aims of the Royal Society and sought an exchange of letters which should inform the English of Sluse's research undertaken since the publication of his 'Mesolabum', which, he said, had been much appreciated in England, although copies were scarce. Oldenburg inquired about the natural history of the country around Liège, a well-known centre for mining, and about "whatever novelties there may be of a mechanical kind" ... Sluse was later to reply fully to all these requests, satisfying the Society's mathematical interests in good measure as well as Oldenburg's expressed interest in natural history and the history of trades. In this first instance he responded only with polite acknowledgements, doubting, he said, whether a sustained correspondence was possible since it had taken three months for Oldenburg's letter to arrive. Sluse was to remain a faithful correspondent for many years and to become in 1669 the first to learn of the then little known mathematical skill and achievement of the young Lucasian Professor of Mathematics at Cambridge, Isaac Newton. Sluse's interests were in some cases very close to those of Newton and he received eagerly the accounts of his work written by Collins specifically for Oldenburg to transmit to him. In fact Collins was reporting on Newton's work which was being explained to him by Barrow. De Sluze received information that Newton had devised a method to find tangents and on other topics that Newton had been working on such as infinite series. He responded in 1671 that he was going to publish an old work of his own on the topic of tangents, a method he had perfected using ideas from Descartes and Fermat. In the following year de Sluze sent full details of his method of finding tangents to Oldenburg, who published it in the Philosophical Transactions of the Royal Society in 1672 under the title An extract of a letter from the excellent Renatus Franciscus Slusius, Canon of Liège and Councellor of his Electoral Highness of Cologne. Written to the publisher in order to be communicated to the Royal Society, concerning his short and easier method of drawing tangents to all geometrical curves without labour of calculation. One has to say that this work on tangents makes de Sluze a major figure in the development of the calculus. In fact Leibniz learned much through reading de Sluze's writings. There was therefore no disagreement regarding priority; the two discoveries were independent, with de Sluze making his discovery several years before Newton. ... since he is the most knowledgeable and candid of all the geometers I know. He did not do so, however, and, after both men further improved their respective approaches, the exchange was published in the Philosophical Transactions of the Royal Society in October 1673. De Sluze was elected a Fellow of the Royal Society on 16 April 1674, having been proposed by Oldenburg. His historical works are quite important. He wrote a book on the death of St Lambert, bishop of Maastricht, who was murdered in 705. A chapel was built in St Lambert's honour on the spot where died and St Hubert, his successor as bishop of Maastricht, transferred his see there in 721 so creating the town of Liège. De Sluze left hundreds of pages of unpublished work, including a history of Cologne as well as much on mathematics, astronomy, physics and natural history. How de Sluze must have enjoyed being asked by Oldenburg about the history and natural history around Liège.